IT is a challenging field, requiring a lot of difficult analysis and demanding work. IT directors and CIOs drive value for their companies through data-oriented decision-making and rational strategizing. But one trick that even the most logical CIO can fall for is the rip-and-replace fallacy. Everyone wants the shiny new thing, but actually replacing incumbent systems for the same of being “modern” can create significant and costly problems. In an age of planned obsolescence and continuous innovation it can feel necessary to invest in the “next big thing,” even at the expense of the infrastructure that has already done so much work. The error is assuming that rip-and-replace is the only, or even the best, way to achieve the upgrades that companies need to stay competitive. The first problem that a lot of companies are trying to fix with a rip-and-replace upgrade is their interfaces. Older systems (such as those using green-screen interfaces) can be difficult for today’s users to use. This leads to increased training time for new hires, disgruntled systems professionals, and inconvenience in a wide array of situations. It is incorrect to assume that rip-and-replace is the easiest way to fix this problem - or that overhauling your IT infrastructure in order to chase a new system won’t cause problems of its own. What IT directors forget is that while interfaces may be old-fashioned, the same is not necessarily true of the platform’s computing power. Modernization strategies allow companies to apply sleek modern interfaces to their applications without sacrificing the features that distinguish them from their competitors. Modernizing existing systems allows you to perform all the functions that new technologies would be able to. Not only that, but you can retain the specifications that have worked well in the past. In the years that you have been customizing and fine-tuning your applications, your teams have created unique ways to streamline their processes. When you rip-and-replace your infrastructure, you add additional months onto your schedule by forcing your teams to learn entire new sets of procedures without any of their familiar functions. That’s not just inconvenient, but it’s a drain on productivity and a hit on the bottom line. Make no mistake: rip-and-replace is an expensive undertaking. Replacing the physical and digital infrastructure underlying critical company functions is hard work, and rip-and-replace takes those functions offline while new equipment is inserted. That can result in data loss, reduced productivity, and critical failures. When you rip-and-replace, your business needs to be put on hold, even if only for a few minutes to a few hours. Even in an ideal world where there are no budgetary restrictions or delivery issues, you need time to take your systems offline to replace machines. When you replace those machines, you need to teach employees how to use the new infrastructure, which makes bringing the new systems back online take a lot longer. After that, customers and clients need to be brought up to speed with new functionality and the loss of old functionality. New infrastructure simply won’t be able to replicate everything. The point is that rip-and-replace is a fallacy with a glossy sheen. It’s the promise of something shiny and new that doesn’t have any of the problems you deal with on a day-to-day basis. It’s a promise that companies and consumers alike hear every day. The problem is that rip-and-replace is actually a really expensive way to create some new problems that you’ve never had to deal with before...and slow down company operations in the process. Modernization is the optimal strategy for companies that really need to solve problems and update their infrastructures for contemporary consumers. It does away with older interfaces, allows deeper functionality in applications, and generally improves the efficiency of company activities. Rocket Software is excited to be one of the companies in India helping people find their modernization solution, with a suite of services designed to upgrade the applications of companies across the tech space. Rip-and-replace may, despite its downsides, be the solution your company really needs. But do your budget and your IT department a favor and explore modernization first. 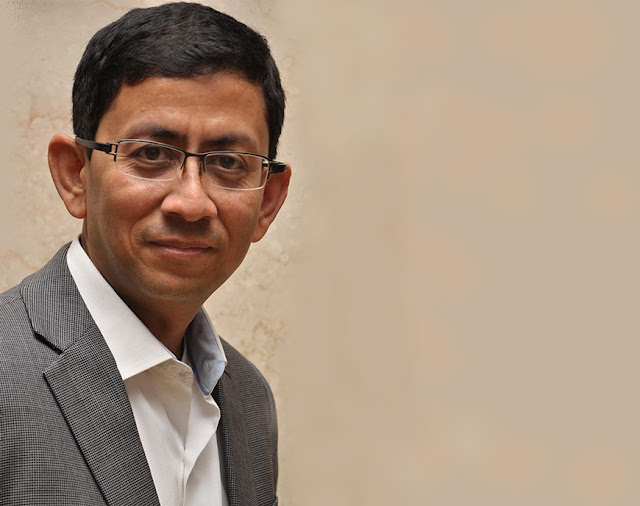 Shantanu Ghosh is Managing Director and Vice President at Rocket Software, a global technology provider specializing in application modernization and systems optimization, where he oversees the company’s centers of excellence in India and China. Before joining Rocket, he was country head of product operations for Symantec Corp and Global VP for Symantec’s Data Center Security business.